I don't know how many of you have been wondering where I've been but I'm here to tell you that I haven't been very far away. For the past six months I've had on again off again poor health and the very last three months I had a few surgeries. Along with some health issues I've also been incredibly busy with my three little munchkins so it's been a pretty intense few months for me. And to top it off my beloved laptop has been behaving a bit wonky! So I figured while I'm working on those things I might as well take a bit of a hiatus. While on this unexpected hiatus I have been realizing a few important things. Sometimes you need to stop doing something to be able to take a clearer look at things. So while I've been away from blogging I have found that the best way for me to be able to keep doing what I love is to make it as simple as possible for myself. What does this mean? It means that I won't force myself to blog into three in the morning, I will be kinder to myself and I will be more patient with myself. I love writing. I've been passionate about writing since I was a child so there is no way that I am going to give up my beloved blog. When I do come back into full swing blogging you'll notice some minor changes but my hope is that these changes will have a major impact on how I blog. I'm going to be cutting back on my blog topics and focusing more on old Hollywood. That will entail film book reviews , heaps of information about those golden Hollywood years, as well as true stories from those who lived it. 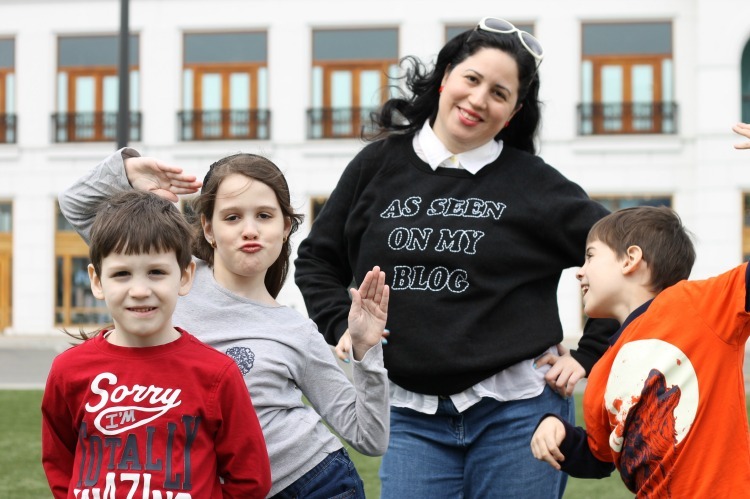 I would be remiss to not share with you how I have been evolving fashion wise since I started blogging in July 2011. Old Hollywood and its glamour has been immensely influential on my sense of style. But as much as I admire and love to see people dressed head to toe in pure vintage I've also realized that I need to dress in a way that compliments my lifestyle. And what is my lifestyle? 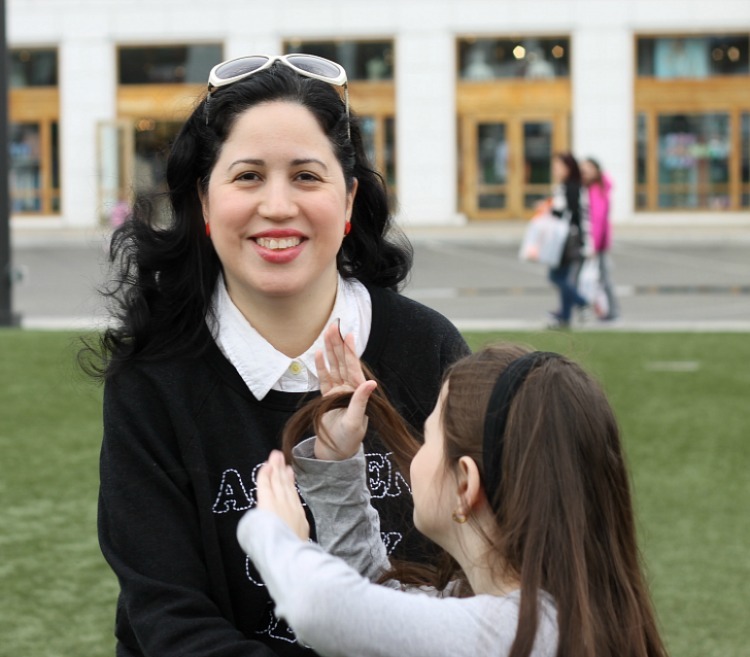 I am a 41-year-old woman with three young children who happens to have a physical disability. Therefore, pure comfort and functionality is what I have needed and I believe I have finally found it. I have realized that there's no reason why anyone who loves old Hollywood fashion but yet is very busy wouldn't be able to express their passion for vintage fashion and yet also be comfortable and functional. 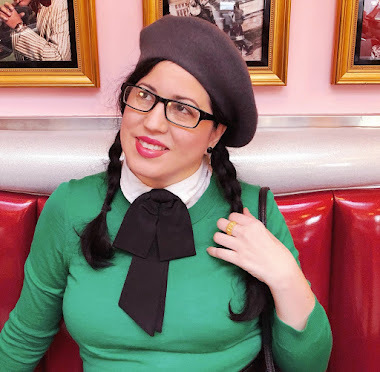 Here at A Vintage Nerd blog I want to share with you how you can combine that love for vintage fashion and apply it to your every day modern life. That way you can create your own individualized vintage inspired aesthetic. For many of us it takes years to really figure out what our style is and honestly we're always changing and growing so our style should change and grow as well. At the very beginning in 2011 I started out with pinup because it made me feel instantly glamorous. Then I started exploring vintage fashion from the 1940s as well as dabbling into other 20th Century decades. As much fun as it was to explore those styles at the end of the day they just didn't work with my everyday life. Juggling motherhood and your own individual passions is very much a challenge. Not just for me but for all mothers. There is no denying that I love vintage. I have loved it since I was a child like so many of you. But I realized that it's not realistic nor is it very comfortable at family functions wearing a 1940s cotton dress that could possibly rip at any moment because it's 80 years old. The idea is marvelous and I have done it before, but the reality of it is that it's not comfortable but it's not practical. At least not for me. I am happy to share with you all that I have finally found a place within fashion, vintage, and blogging where I really am starting to feel comfortable with who I am as a woman, as a mother, and as a creative person. And it is honestly, very empowering. It's taken me almost six years to figure it all out but in those six years I had the joy of exploring and having fun with a lot of different decades. I have no regrets. I feel so lucky to have been able to learn everything that I've learned these past six years. It is because of blogging I have learned a great deal about the past, old Hollywood, vintage fashion, and fashion in general. And it because of vintage that I have learned to take better care of myself as well as appreciate what I have accomplished in the midst of the madness of daily life. I hope to not be gone for too long. I am really excited to share with you my new found sense of vintage inspired style. And I am looking forward to sharing more informative and inspirational posts that I hope you will enjoy and share with others. In the meantime, feel free to explore older posts here at A Vintage Nerd and stop by my INSTAGRAM where I am continuing to share the vintage nerd love! I'm so sorry to hear about your recent health struggles. I also understand how your own fashion evolves over the years. As has mine.